So said Walter Isaacson of Steve Jobs in his breathtaking biography. This, frankly scary, aspect of Steve Jobs’ personality is heavily sugar-coated in Danny Boyle’s excellent biopic and your requirement for absolute accuracy of detail could be the undoing of it for you, because you could drive a coach and horses through many of the structural, and representational, aspects of the film. Boyle presents Jobs in an extremely positive light and this is surely not to satisfy his Estate as Isaacson’s Biog has already ripped him to pieces in personality terms. Kate Winslet’s role as Joanna Hoffman, his right hand woman, seems hugely overblown compared to her real influence but she is a vital plot device. There are three of these. His relationship with Hoffman (Winslett in yet another Oscar nominatable performance); his relationship with the mother of his daughter (and, by association, his daughter Lisa) and the three product launch performances (legendary though they are you never actually see them – The Macintosh, The Next Computer and the iMac). Central to all of this is the underpinning and highly challenged relationship with his daughter Lisa whom we see grow from a wide eyed four year old to a somewhat embittered Freshman. Jobs comes out of this reasonably well as Danny Boyle positions his ex, Chrisann Brennan, as a needy, somewhat whingeing, gold-digger. It’s highly debatable as to whether this is an accurate reflection of her. But it gives Fassbender (as Jobs) the ammunition to riff off and gradually respect the needs of his daughter whom he reluctantly builds an affection for. Steve Wosniak is played dead straight (and very well) by Seth Rogen and one of his stand up battles with Jobs, as he tries to get him to acknowledge the vital importance of the work of the engineers who build the business saving Apple II, is a pretty fundamental exposition of Jobs’ cantankerous, unforgiving, deeply focussed drive for perfection in the future; not the past. It’s electrifying. This movie is low on action; instead we get two hours of fast-paced, intimate dialogue in typically brilliant Aaron Sorkin style that will surely reap for him a further Oscar. What’s odd is that the movie picks quite a short (15 year) window in Jobs’ career (mostly its downside). I can’t help thinking the project overall might have better suited to an 8 hour TV serial broadening its scope to the full Monty of his life and career, in all of its ups and downs. But, no matter, Danny Boyle has shown that when he focusses on smaller detailed character pieces his output is at its best, and this, unquestionably, is a career high sitting alongside, Sunshine, The Beach and Shallow Grave in my opinion. Once again how can I find words to describe the quality and range of Michael Fassbender’s prodigious output? Surely this will break his Oscars duck because despite some of the film’s weaknesses they are not down to him. A compelling and sympathetic performance that is entirely engaging. I’ll leave the last word for Daniel Pemberton’s beautiful and understated soundtrack. It’s reminiscent in many places of Trent Reznor and Atticus Rose’s brilliant Social Network score. What would it be like to interview your older self? Ok, so this isn’t perfect but it’s a very interesting and original idea that only lacks in execution. It’s a 56 year old man being interviewed by his 18 year old self and he’s hoping to crowd fund a full length version of it. Trouble is the original source material is of pretty poor quality so it feels quite disjointed. Hats off for the idea though. Spectre. The new Bond Film. Review. Outrageously long would be my first criticism. Sam Mendes has too much power and seems like the studio is in awe of him. And so must be his editor, because every single scene in this very poor movie is over long. Such a shame because the opening sequence, before the parlous credits and garbage signature song by Sam Smith, is as good as it gets. Set in Mexico City during the festival of death it looks astonishing and the action sequence it spawns is very, very good. But after that it is a spent force. Rubbish action sequences, truly boring and just a dirge. Met Office in Scotland issues storm warnings. Following the introduction of the American style system of naming strong wind storms (such as Katrina, Mitch, Stan and Jeanne) the Met Office in Scotland has adopted its own nomenclature that was introduced with Hurricane Bawbag in December 2011. Sticking to its guns of utilising humour in our own nomenclature (Bawbag was known elsewhere as Freidhelm) we have the first storm of 2015 looming. It’s being called Abigail (A Big Gail) but I have managed to procure the full A-Z list and although it’s actually classified under the Official Secret’s Act I am sharing it with you. 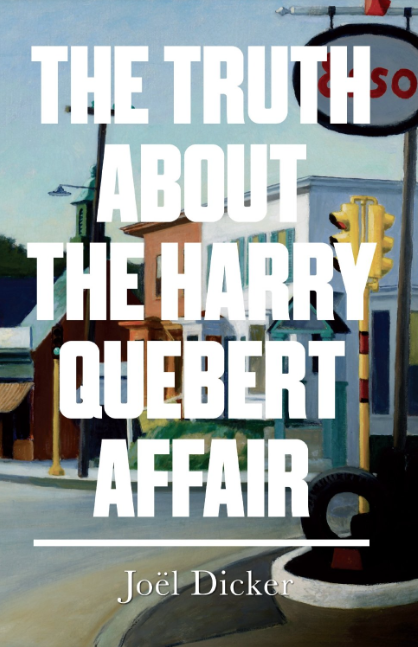 The Truth about the Harry Quebec affair. Book Review. This really is a very odd book. It is in part very good; certainly the plot is original and in parts unpredictable, and, at times, Joel Dicker writes with real style. In other parts it’s like fourth form stream of consciousness. But the overall premise is entirely original and it’s this that kept me going through its 600+ pages (200 of which were probably redundant because he goes over plot-ground way too often). It’s sort of a police procedural but with the added input of a 34 year old, highly succesful writer struggling with his craft (how appropriate) as he retraces the steps of his mentor (a 34 year old highly succesful writer who was struggling with his craft when he fell in love with a 15 year old girl). I hate pulp/trash novels and this is a pulp/trash novel. But it somehow got itself out of the mire and held me to the end. If you like original, crime driven pulp fiction and you have time on your hands, read this. If not? Read a real book. Ian McEwan. The Children Act. Review. I first picked up an Ian McEwan book in 1978 when i read his Somerset Maugham Prize-winning short stories, First love, Last Rights. It was a bawdy collection of off kilter tales that I relished. He followed it up with a similar second collection, In Between the Sheets. I was now a fan, despite not being an avid reader of short stories. 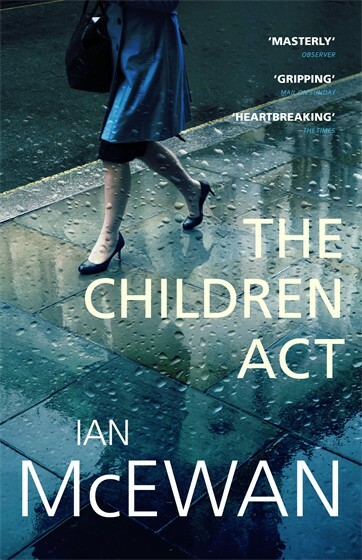 But the 14 publications that followed these, I’ve read them all bar Solar, are full length, albeit some of his most successful, Amsterdam, On Chesil Beach and this latest outing, The Children Act, are really novellas. He’s covered a lot of ground as you might expect in 36 years but almost always they have been intensely personal and deep psychological insights of how people have responded to what often seem like quite random acts. His novel, Saturday, covers a hijacking in an upscale London apartment and plays out, in extreme tension, over the course of a single day. On Chesil Beach, if memory serves me correctly, takes place in a similarly condensed timeframe. Six of his books have been Booker Prize nominated (although only Amsterdam, controversially, triumphed) and eight have been made into movies (Sweet Tooth is currently in development). So it’s fair to say that McEwan comes to the writing of The Children Act with some positive credentials. Nevertheless, I was blown away by this slight (200 page) novel that deals with the reaction of a 60 year old female family law judge and a case she presides over. It regards the refusal to take a life saving blood transfusion by a 17 year old Jehova’s Witness boy on the grounds that his religion forbids it. The case coincides with a particularly rocky patch in her long, loving but childless, marriage and it is this central irony that makes these two situations riff off each other in a way that has a profound impact on her life. It is clear that our central character, judge Fiona May, is a good and extremely considerate, intelligent and thoughtful woman both personally and professionally and that’s what drives this story. The book is all about ‘doing the right thing’ in all aspects of her life and relationships and is profoundly thought provoking and moving as a result. To say more would only run the risk of spoilers so I will leave it at that. McEwan crafts his novels with extreme diligence, yet never appears to overwork his writing; rarely more so than in this tremendous outing. The one exception being the below par Sweet Tooth. A master at work and an assured masterpiece is the result.